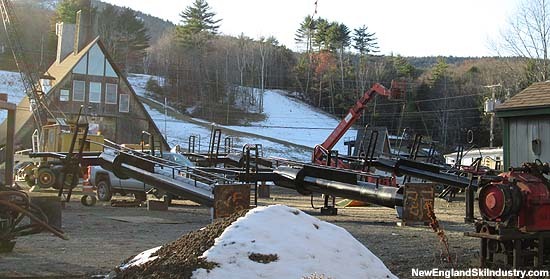 Lift installation delays could postpone start of ski season. The dramatic multi-million dollar redevelopment project at Camden Snow Bowl appears to be behind schedule, prompting concern about the projected December 20 opening day. The first year of the two year, $6.5 million redevelopment project includes new terrain, snowmaking infrastructure, night skiing, and the installation of two chairlifts. 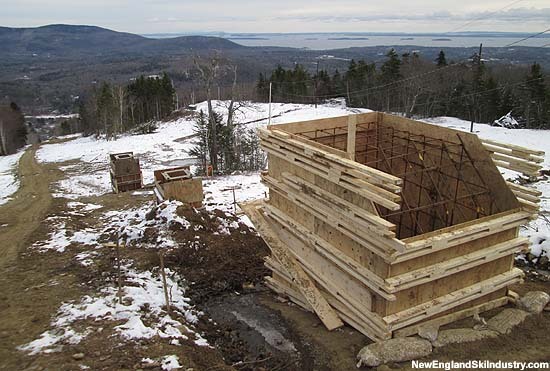 A new main lodge will be constructed during the second year of the project. Beginning in March of 2014, all of Camden's lifts were removed. Trail work also commenced around this time, eventually hitting a snag in early in the summer when silt deposits were discovered in the parking lot. According to Camden Snow Bowl, "[s]ince that incident, we have had on-going supervision by an engineer and soil scientist from Gartley & Dorsky, and spent more than $50,000 on erosion control measures." Night skiing improvement plans have also had issues, as the full lighting build out will not happen as planned due to budgetary issues. As of November 16, many upper mountain light poles stand without wires or fixtures. Lift construction also appears to be behind schedule, as concrete work has not been completed. Final footings are reportedly going to be poured the week of November 17. General practice in the ski industry is to then allow concrete to cure for about 3 to 4 weeks. Once concrete is cured, towers can be installed, followed by splicing of the haul rope, hanging of chairs, and the load test. Meanwhile, as of November 16, neither of the chairlift drives have been installed. 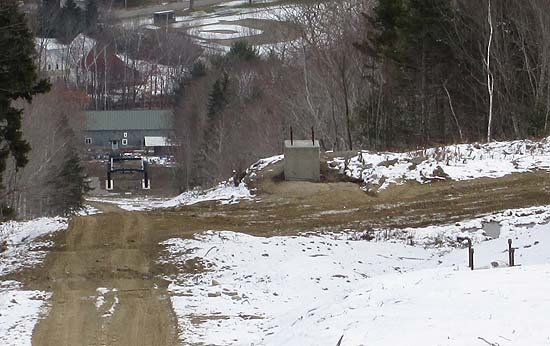 As mentioned in the August 15, 2014 development update, Camden has a history of not completing lift installations until January, citing the Big T-Bar and double chairlift. Reportedly this could be the case again, as a December 2014 opening seems increasingly unlikely.